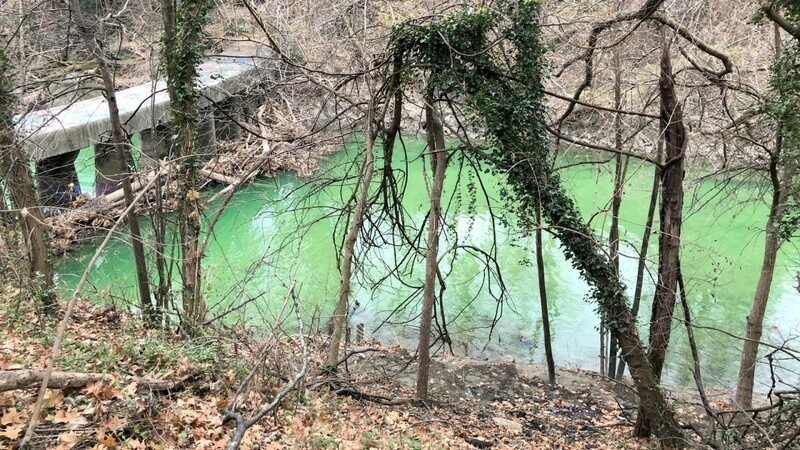 Video footage showing a bright day-glo green substance swirling into the Jones Falls prompted concern today and more than a few wisecracks. The video was posted at 1:47 p.m. by Curt Kotula, creative director at FastSpot. “Something to worry about or not?” he asked. The Brew chimed in on Twitter with an idea we thought might save everyone some time and angst.